Experiencing homelessness in life is something most can’t imagine. Nonetheless, for the close to one million people here in the United States, individuals and families are experiencing insurmountable challenges that are in desperate need for help everyday in local communities. Supportive services to providing basic needs to transitional housing, there are many shelters here in Hartford and across the state serving this population advocating for solutions and helping those in need get back up on their feet. 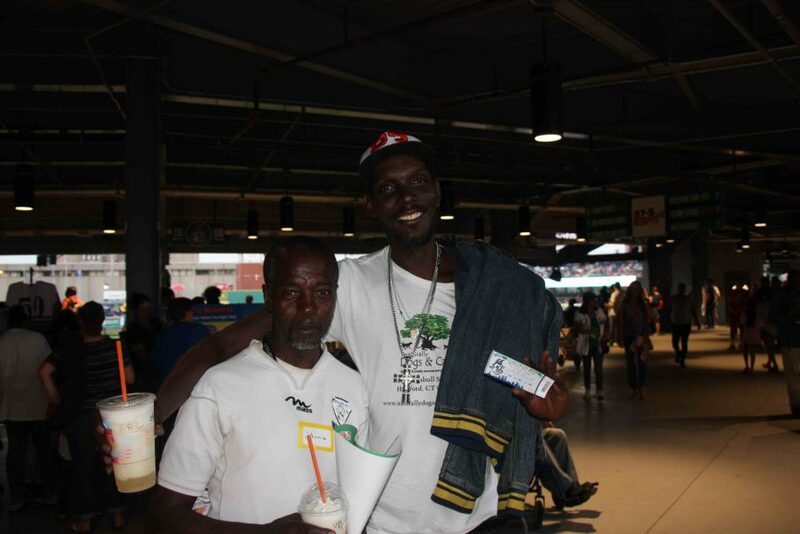 On August 24th, Dollar Giving hosted Strikeout Homelessness in partnership with the Hartford YardGoats. Upon picking up our guests from the shelters the excitement of our guests was everywhere as they rode to dinner, a tour of Dunkin Donuts Park and a baseball game with fireworks to conclude. The rides back to the shelters were filled with gratefulness and gratitude for the opportunity of a couple hours to get away from the harsh realities of their daily struggles and enjoy the summer night. I’m beyond proud of the volunteers who mobilized all our efforts and appreciative for our sponsors, food and beverage partners Harry’s Pizza and Foxon Beverages as well as the Hartford YardGoats for partnering with Dollar Giving and giving everyone a memorable night. We raised a significant amount of money, had over 125 people in attendance and brought visibility to some incredible organizations in the community. We look forward to growing this event in 2019! As we reflect our experiences in our first year, we could not be more proud of our efforts in 2017. The experience in trying to help others through the cultivation and advancement of an idea to become a nonprofit and develop the Dollar Giving platform has been humbling and exciting. The opportunity to help other nonprofit organizations in our community achieve their goals, extend their reach and make a difference in the lives for people is something we’re beyond appreciative for. Realizing some successes and many other nonprofit organizations wanting to participate, we are diligently working on our platform relaunch come this spring. Realizing the business model and platform will change and evolve substantially in the upcoming months, our values will be the same. Cultivate new donors, bring visibility and start local movements and opportunities to bring the community together. Thank you for your support and see you in 2018! Determined to make a mark in Hartford the sign was given a tour of the city one beautiful sunny afternoon in June. 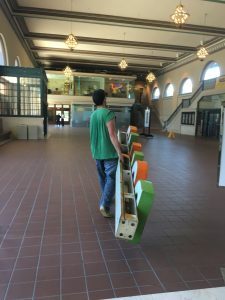 It’s debut caused a lot of attention, spray painted bright orange and green, DG’s signature colors, Bobby and one of his partners Erin Brallier transported it from one location to another snapping photos. No easy task given the weight, awkward shape, metal material (still smelling like fresh spray paint) parking and lengthy walks to outrageous locations! 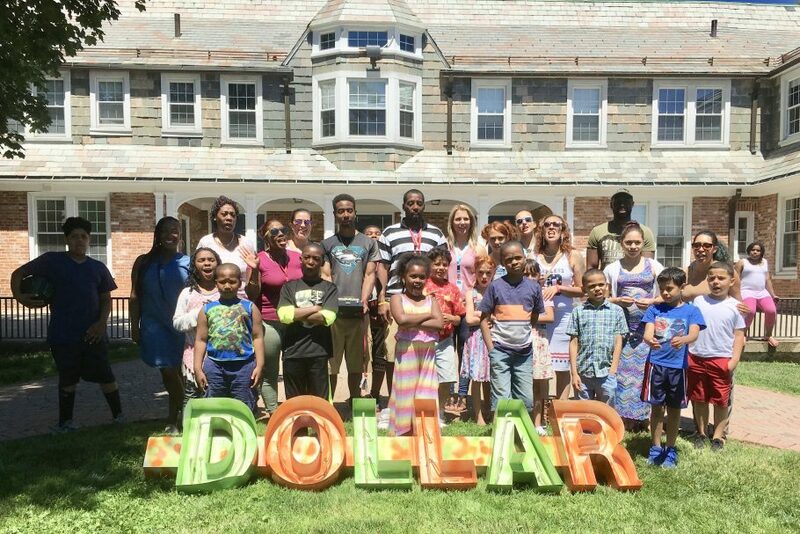 Dollar Giving was connecting with the community, making their presence known, and turning heads dedicated to raise awareness for a crowdfunding platform they believe will change lives. 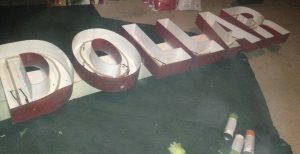 So what is next for the resurrected sign? Follow Dollar Giving on Facebook, Twitter and Instagram to see where it lands next, and opportunities to get engaged all for a good cause in your own backyard. Dollar Giving is a unique 501(c)(3) nonprofit breaking ground in Hartford, Connecticut crowdfunding small attainable causes for other local nonprofits like the The Village, Journey Home and many more! To learn more about Dollar Giving and donate to a local cause visit www.dollargiving.org. Small Donations. Big Impact! Giving the sign a tour of Hartford, CT all for a good cause! To our family, friends, colleagues and visitors, do any of you ever think of the value one dollar has in your pocket? It used to buy a pack of gum. Not really anymore. You can usually get a candy bar out of a vending machine or use it for the dollar menu at a fast food restaurant (if they still exist). But for many of us one single dollar has little value all on its own. But what about 350 single dollars collected over a 2 month time frame? You could save it, invest it, use it to buy something you want, but don’t really need. But what does $350 do for someone who has nothing due to a fire in their apartment building. Or $350 for a cancer patient whose family has exhausted their life savings helping them fight this horrible disease. Or $350 for two inner city teenagers to spend a couple weeks learning something new that can help them later in life. That $1 collected over many months by many people now has more value than by itself and what is most amazing is that you will never miss that $1. For many of you, you would not miss $5 or $10 per month. But the impact collectively of us all giving $1, $5 or $10 is monumental… but we all have to do it for this to work. Today, two colleagues and myself who have all become friends are launching Dollar Giving. We are a nonprofit trying to do more with $1 by collecting all the singles and fives and tens if you are willing to give that much and trying to make a difference for the devastated family that lost everything in a fire, the cancer patient fighting for their life and the inner city kids trying to stay on the straight and narrow. Collectively, can we all make a difference by donating one dollar per month or $5 or $10 (but we don’t want to be a burden)? Bobby Nims, Erin Brallier and Kevin believe we CAN make a difference, but we need YOUR help. Please visit dollargiving.org and take a look at our campaigns, follow us on Twitter, like us on Facebook and as we share our campaigns please do two things for these families, individuals and organizations…donate and share, because collectively we can make a difference with just one dollar. Welcome to the new Dollar Giving!! We are happy you stopped by. Take a look at our new campaigns and if compelled, please donate! The families and organizations we support need your help. If donating is not possible today, like us on Facebook, follow us on Twitter or subscribe below and we will keep you up to date on our newest campaigns. Tell us a little about your nonprofit and the cause you are trying to raise money for.